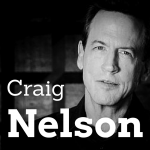 Craig Nelson is a New York Times bestseller and is jam packed with informational facts and stories about nuclear physics and the people behind it. He talks to Jason today about his new book The Age of Radiance and how nuclear power has changed our lives for better and for worse. 4:00 – Nuclear science has a lot of bad press, but it has done many great things and, some would say, it has even prevented wars. 7:30 – Craig tells a fantastic story of 4 teenagers who grew up only a couple of KM from each other and ended up meeting later in life through their work within the atomic field. 9:12 – Fun fact, John Von Neumann would read and drive at the same time and would often crash his car. 14:30 – According to Craig, if you look at the Dr. Strangelove movie, a lot of what happened in the movie was true or came true. 18:15 – The most frighten experiment in the US took place on Bikini Atoll and that’s how the bikini swimsuit came to be. 22:20 – Nuclear in America has become such a burden in the US because you need federal funds to build the plant, maintain it, and fix it. Tax payers simply don’t want to spend that money. 23:45 – Find an author who’s writing similar books as you and find out who their agent is. Contact their agent and work from there. People tend to get rejected because they’re sending their book to the wrong people. 27:05 – Times have changed drastically for physical books. Authors don’t need to tour any more with the use of the internet. Welcome to the Holistic Survival show, this is your host Jason Hartman where we talk about protecting people, places, and profits you care about in these uncertain times. We have a great interview for you today and we will be back with that in less than 60 seconds on the Holistic Survival show. By the way, be sure to visit our website at HolisticSurvival.com. You can subscribe to our blog, which is totally free and has loads of great information and there’s just a lot of good content for ya on the site, so be sure to take advantage of that at HolisticSurvival.com. We’ll be right back! It’s my pleasure to welcome Craig Nelson to the show. He’s the author of the book entitled The Age of Radiance: The Epic Rise And Dramatic Fall Of The Atomic Era. So here is a nuclear expert and historian as well as a publishing expert. He came to New York to become a writer, got into the publishing industry to learn the business and spent 20 years there. He’s the former vice president and executive editor of Harper & Row, Hyperion, and Random House where he oversaw the publishing of 20 new york times bestsellers. He’s got a very, very interesting story and a very interesting take on a controversial issue here. Craig, welcome, how are you? I’m great, thanks so much for having me. Well, good, the pleasure is ours. So, you’re coming to us from New York City, the heart of the publishing world. I live right around the corner from Henry James in Greenwich Village. So for anyone that needs to know about the origins of psychology from William James, I can help you with that too. *Laughter*. Great! Good stuff. Well, you know, when we talk about psychology, maybe that’s a good lead in, to talk really about the atomic era. I mean, There’s so much controversy about this when it comes to nuclear power, certainly when it comes to nuclear weapons too. Some would say the invention of the bomb has saved a lot of people because it has prevented many wars that might of otherwise have happened. You know, we’ve got the utility side of it, we’ve got the weapons side of it, where would you like to start? Oh, I guess I’d like to start with the fact that I think America has learned about nuclear science of seeing people of victims of Hiroshima and Nagasaki bombings and then they learned about nuclear power by the coincident that we had Three Mile Island meltdown at the same time the Jane Fonda movie did The China Syndrome was playing in theaters. There were so many bizarre coincidences between these two things The China Syndrome had lines in it like, “They will create a nuclear wasteland the size of Pennsylvania.” Three Mile Island being in Pennsylvania and it came up with the idea that the China Syndrome being a terrible meltdown that will go all the way to China, but in fact the meltdown doesn’t burrow to China, but it can burrow into your water table. That’s sort of the idea, I think, about nuclear. Well, that’s interesting how it’s been so miss characterized in so many ways and I remember the movie The China Syndrome as a kid and, you know, Three Mile Island, of course, and our president at the time, Jimmy Carter, was actually a nuclear physicists if I recall, which is kind of an odd pairing too. So, you know, he actually knew something about it. You’re very close. He worked in the nuclear program when he was in the Navy. The Navy has a tremendous nuclear program because it was designed by Rickover. It’s so safe and effective that it began the basis for all nuclear reactors in the United States and the Navy since 1957 has has a perfect safety record with that transportation system. I also wanted to mentioned, but it is without reason why people are disturb by radioactivity, because frankly, you have this metal and this ore and then these invisible rays that are coming out of it that can kill you and give you cancer. It is disturbing because I think these things live somewhere between, what they say in Christian churches, between the quick and the dead. We call the affects of radiation over time a half-life, not a life, but a half-life, and they used to say, well, you know, it was so interesting to hold plutonium in your hands, because you had the silvery metal and you expect a silvery metal to be cold, but plutonium is warm like a puppy. So you could actually melt its own weight in ice, you know. Marie Curie used to go to her lab first thing in the morning before the sun came up, she would read out all of her radium sample so that they’d all be lighting up the walls when she came in. People noticed that when she put the radium away, the walls were still glowing. So, one of the joys of writing this history is the fact that you get to hear about all these glorious, wonderful, wondrous things when they’re first learning about the mystery and the magic of all this, but at the same time, you know what’s coming next. Right, right, you do. It’s interesting that the early researchers in the field of x-ray technology, radiation, they had a half-life, right? The city Hamburg has a monument to the martyrs of nuclear science and at the last count I think they have over 400 names in that monument. Wow, wow, something else. You know, your book, the way it examines the history of this is just really fascinating. One of the things I want to ask you is how a group of teenagers from Budapest were able to flee Hitler and invent the atomic bomb, the hydrogen bomb, you know, and bring the modern day computer to America. Tell us about that. This is one of my favorite quirks of history. This wild story is that there were 4 guys who all grew up a couple of kilometers from each other in Budapest, they all had to flee Hungary for Germany to get away from anti-semitism in Hungary and then of course they had to flee Germany with the raise of Hitler. They all went to school in Berlin, they would all know each other. One became the co-inventor of the atomic bomb, one became the co-inventor of the hydrogen bomb, one became the co-inventor of the personal computer, and one oversaw the physio material; the stuff atomic weapons and power plants are sourced from; he became the patron saint of Oakridge, Tennessee, this Hungarian. One person who theorized about all these, like, why did these exact coincidences happening, he said, well, you know, actually there are 5 of us who are all basically martians and the 5th that we left out was Zsa Zsa Gabor, so he wanted Zsa Zsa Gabor included in this Hungarian group. My all time favorite of these was Johnny von Neumann, because von Neumann was this fantastic mathematician. His wife said he was such a good mathematician that he could count everything except calories. von Neumann at Los Alamos came up with the idea of the implosive lands, which is where you’d arrange different kinds of explosives in the shape of a pie and that way when you set off the explosions on the outside of the orb, by the time they get to the middle, they are timed perfectly and they can compress a piece of plutonium the size of an origin to one the size of a shooter marble. So, he came up with that idea, but he also inventing the foundation of modern computing where both the data and programing uses binary code and because the biggest computer at that time was called ENIAC, he called his MANIC. He was such a snazzy dresses that when the guys at Los Alamos went burrow riding at the Grand Canyon, he wore a 3-piece pinstripe suit, but my favorite thing about Johnny von Neumann is that he liked to drive a car while reading a book and he crashed so often at one place in Princeton that it’s now known as the von Neumann car. *Laughter*. Well, we see people doing that sort of multitasking behind the wheel nowadays. It’s pretty scary stuff. Yeah, so, Johnny von Neumann wasn’t the only one, huh? So, keep texting tweens, maybe you’ll get a corner name for you. Yeah..*Laughter*. No, no, let’s not promote that idea. So, that’s very interesting how those teenagers did that. When it comes to the weaponization of the atom, good or bad? The thing about that story is the fact that when the American physicists working here, the native-born American physicists, were all working on radar and when they heard about the idea of blowing up the nucleus of uranium and turning that into a bomb, they thought either it was nuts or that it would take so much effort to make that happen that it wasn’t worth while and they were sort of right. It did take this remarkable effort to make that happen and it ended up not being all that worth while, because we never figured it out what to do with atomic weapons on the battle field or in war. We just have them to wave at each other and that’s all they’re good for. So, that’s part of it, and the second thing that happened is that all of the people who developed it were all refugees from Hitler and all they could think of was, “What if Hitler got the atomic bomb and we didn’t have it?” There’s this really sad quote in Age of Radiance from one of the people at Los Alamos, she said, “Well, we knew that if we lost the war it’ll be because we hadn’t done our jobs.” They literally felt the entire weight of world war 2 and Hitler dominating the world was on their backs. So, that was the entire emphasis behind it, but it’s a shame because, you know, instead of learning about..and the other thing that’s a terrible shame is the fact that a great deal of this research to this day is still classified, so that it maybe that there’s some research that they’ve done after they blew up a 1,000 nuclear weapons in Nevada and the specific, they may be research into all of that that may be helpful in making a better energy source today, but we can’t use it because it’s classified. Yeah, yeah, well very interesting. So, I’m trying to get your take whether or not, you know, you talk about how nuclear weapons, we never figured out how to use them on the battlefield, they’re just something that we wave at each other as they, you know, as many would say, as a deterrent. In economics there’s a principle of you can’t hear the dogs that don’t bark and that’s why it’s really impossible now whether nuclear weapons have save lives. I know some people might think that’s a crazy thing, but they’re not thinking about it because say lives through the deterrent has it prevented war or has it made things worse? I mean this arms race and so forth. Do you think that the weaponization of the atom has been a good or bad thing for the world? The fantastic brain twister about that comes from Alfred Nobel and Alfred Nobel who’s oil fortune founded the press, invented TNT, said his great dream in life was to create a weapon of such incredible power that it would make wars obsolete and maybe people think that weapon was in fact created with the nuclear bombs, with hydrogen bombs or fusion bombs, because during the cold war, every single interesting part from US, USSR, Chine, France, Britain, Germany, even Israel; every interested in the whole world had nuclear weapons and maybe people are convinced that the only reason the US and the USSR, the only direct engagement during the whole of the cold war was little fighter plane dog fights during Korea and that was it. They’re convince that this is the reason why we never had world war 3. So, one great conundrum is, should the creators of thermal nuclear arms be given the Nobel Peace Prize and achieve Nobel’s own dream. That’s his great goal that he wanted. One of my favorite scenes in the book, in fact, is when Ronald Reagan goers to Margaret Thatcher and he’s had Hinckley tried to assassinate him and he’s seen a TV movie the day after about a nuclear holocaust in America and he tells Thatcher that his great dream is to end all nuclear weapons to make all of them obsolete and she says, “Are you out of you mind? What do you think is keeping the Russians away? That’s what keeping world war 3 from happening.” So, she really believes in this. It’s just an amazing brain twister to think about this. Yeah, it really is. I fall on the side that nuclear weapons have saved a lot of lives. I think things would turned out a lot different had the bomb not been dropped twice, we would have had a much more aggressive situation going on during all those cold war years without the threat of man mutually is our destruction. That’s where I fall on it, but who the heck knows, you know? What about energy, you know, Stanley Kubrick has some really funny old movies where he talks about loving the bomb. Should we learn to love the bomb or should we learn to at least love nuclear energy? Well, the thing that’s fantastic about the Kubrick movie, Dr. Strangelove is that we’ve all seen it over the years and thought it was this wild, whacky comedy. Giant satire, just out of control, over the top, and just crazy. In fact, you can look at it and think it’s historically accurate because much of what is in that movie either was true or came true. The first thing is that every time you have the characters spouting off things like, “You know, we could have a nuclear war and sure 25 million would be killed, but that’ll be okay because people will survive. It’s not a problem for old people, the nuclear radiated food, because they’re too old to get cancers, so that’ll be okay. We can put two women for every man in deep mine shafts and pick the best of America, repopulate the world.” Every time you hear all that crazy stuff it all turns out to be verbatim text taken from the leading nuclear theorist of the time, Norman Cod, who was so incensed that it had happened, he told Kubrick that he deserved royalty. He wanted to be paid for the use of his book on thermonuclear war, which is used a lot in this script. And the second thing that’s wild that happen is that you see all the time the president of US and the USSR talking to each other on a hotline in direct connection. That did not exist when that movie was being made, it would come into play about 6 months after the movie was in the theaters when the big Cuban missile crisis happened. Still, it wasn’t a direct phone call, it was a direct tele-type connection. So, the phone call wouldn’t happen maybe until 20 years later, but the greatest thing that happened, well, not greatest, but the most amazing thing that happened is the fact the doomsday machine, the automatic response of launching Soviet missiles is done completely automatically, out of human hands, that ends the movie and ends the world, it actually would come true too. During the Carter administration, they came up with a new strategy where for the previous 5 presidents the entire concept was, “We’re just going to drop all of our nuclear weapons on Russian and China if we get attacked and that’s going to be the response.” The Carter administration came up with the new theory called decapitation, where you’d only use your nuclear weapons against the, the Soviet Union, against the Poltiburo and the Kremlin and they published a big article about what a great idea this was in foreign policy magazines and apparently Politburo and the Kremlin read foreign policy magazine, because they came up with a counter strategy called dead hand or parameter where if the Soviet Union was attacked by nuclear missiles and no word was heard from the Kremlin, you know, a few survivors help deep in the Euro mountains would automatically launch a counter strike, so exactly the doomsday machine talked about in Dr. Stangelove would come true. Very, very interesting. Wow, that’s amazing. So, when we talk about that deterrent you have some great chapters titles in the book. One is, “How To Keep A Cold War Cold” and is that what you were referring to? The deterrent aspect? Yes, what do you wanna know? You wanna talk about that one? *Laughter*.Well, what are they? Like, my question is where do you come up with these chapter titles. Oh, well, the origins of modern swimwear as to do with the fact that when the biggest, the most frightening experiment in the history of science in the United States took place in the 50s in an island called the Bikini Atoll and simultaneously with that attack, the bikini was introduced, because, like the atomic bomb, the bikini is small and devastating. Anyway, but what they did was at Bikini, they tested this twin bomb and they thought it was going to have a 4 megaton explosion and instead it had almost a 15 megaton explosion and the fireball was 4 miles in diameter and it was so overwhelming powerfully that the on-lookers 30 miles away had radioactive fall out rained down on them like snow. One of the on-lookers was a plasma physicists who had seen many atomic bombs denoted, but he never seen..it was the first thermal nuclear bomb he had ever seen denoted and he said he couldn’t stop looking at it. It’s like a disease brain of a mad man. One incredible side effect is that some of the fall out struck a Japanese fishing boat and before anyone could figure out what had happened the contaminated fish was sold into the Japanese market and one of the fisherman died as a result of it. So, the Japanese began to feel like they were continuously under atomic attack by America nuclear arms and a couple of months after that the movie Godzilla came out. So, when people in America went to see this movie Godzilla they thought it was sort of whacky and funny because the special effects were so cheap. Godzilla looked like a hand puppet, but in Japan, they thought they had all these complicated feelings, Godzilla was both a horrible nuclear thing attacking the country and it was what the Japanese were being turned into by being contaminated by these nuclear weapons that their children were going to turn out to be atomic lizards and many Japanese couldn’t sit through the whole film. They would bust into sobs and run out of the theater. Wow, I had no idea Godzilla that kind of an impact. It’s really, really interesting. So, when we get to the utility side, the power side of the nuclear equation. Some have predicted electricity will ultimate just become too cheap to meter. You know, it’s not even worth the bother to meter it, to count it, to charge for it, it’ll just be abundant and free, and nuclear certainly had, at least, that promise, that potential. Are we just crazy in the US with our disdain for our nuclear power? I mean, France is what 77% nuclear now. It maybe have been the few things the French have done right lately. Right, the story behind all this is the fact Eisenhower did not want his legacy to be a general who oversaw, who was there, of the dropping of the bomb of Hiroshima and Nagasaki and the beginning of the cold war builds up of the nuclear arms race. So, he wanted part of his legacy something he called, atoms of peace, which was, so the federal government subsidized nuclear reactors, they pioneered the research behind Rickover creation of the power planet for nuclear subs and nuclear reactor that would become the power plant for a number of American utilities, they exported all that technology to Japan. They created a cervana nuclear powered ship and on that ship was the first radar range, which we know is a microwave oven. So, they tried to d this sort of push for technology, but they didn’t go far enough. They didn’t really come up with a technology that was solid and dependable and really what happened is that nuclear in American, you have to have federal government funds to be able to afford to build a plant, because no one wants to spend that kind of money and then you need federal funds for subsidize it because it’s much more expensive than natural gas or coal and then if something goes wrong you need federal funds to pay for it. So, that’s why I think it’s become such a burden in the United States, because you need tax payer money every step of the process. I do think as far as the effects on human health, people who are fearful of nuclear, their fears are wildly exaggerated. If you look at everything that has happened, no body was even touched by radiation out of Three Mile Island and Okunoshima I do think they’re going to have a nuclear desert like they have it a Chernobyl. I do think it’s going to enter the water supply and I do think they’re going to have to exclude people from living a certain radius around the planet just at like Chernobyl, but no body died at Okunoshima. Chernobyl, easily, the worst nuclear accident of all time and probably the worst few things that will ever happen in history, except a cloud the size 400 Hiroshimas across all of Europe and burned out of control for 2 weeks, they only had 75 people die. You know, it’s terrible that 75 people died, but when you think about horrible fears about nuclear meltdowns, 75 just doesn’t support that level of fear. Very good point, very good point. Well hey, can we switch gears before you go and just talk about your incredible career in publishing and maybe any secrets you have for aspiring author to write bestsellers. You’ve certainly overseen quite a fear of them. Give us a little information about that of if you would. My biggest secret is to tell people is that when they wanna get an agent what they do is they figure out what book is closet to the one that they’re working and hopefully it isn’t he number one book on the bestseller list at that time, but anyway, but really any book that’s very close to what you’re working and then you track down who the agent by looking at the acknowledge and then you track down the agent email by looking it up online and in your subject line of your email, you say, I’m writing to you because you agented, and you put the name of that book that the agent did, because what happens the reason why so many people get so many rejection letters is there are sending their things to the wrong people. Very good point. So, when you say an agent you’re talking about a literary agent, of course. So, a way to find the right literary agent that’s the right fit for you is to look at other books in your genre and read the acknowledgments, because they always say thank you to my literary agent, John Doe, and then find them. You know, that assumes though doesn’t it, Craig, that the literary agents are always sort of overseeing the same genre, right? Don’t they have a lot of diversity in their own portfolios? Well, because they worked on that book and because you figured that out, they will at least read your query. And read some of your material, but you know, you don’t just send it to anybody. You don’t just send it out to anybody. You try and figure out, you know, why first time writers don’t bother learning anything about the book business. They just think, you know, they just think it’s like lotto and it is a little bit like a lotto, but they think they can just throw things out into the world and it’s going to be caught, well, you got to be a better pitcher than that. You know, the publishing industry has been going, like so many other industries, with like, you know, the internet and so forth, has been going through just massive amount of changes over the last 15 yeas or so. What do you think is the direction of the publishing industry? Do you think publishers..I mean, publishers will always be here, a lot more people are self-publishing nowadays, but you know, what are your thoughts on the impacts of these different technologies? Well, the publishing doesn’t seem to be hit as hard as the record industry or the movie industry or TV or the other things because I think people went through a trend of really enjoyed reading lots of things on-screen for pleasure and now that trend is dying down a little bit because, you know, if you spend all day in a middle-class job looking at a screen for work, you don’t want to spend all night looking at a screen for pleasure. So, I think that trend is dying down in the book business, but the major problem is the falling away of community in the age of internet and by that I mean the fact that 10 years ago when you did a book tour, you’d go to St. Louis and you’d do day time radio in local studios, then you’d do Good Morning St. Louis TV show, then you’d do a book signing at a lunch time book store and then you’d do Good Afternoon St. Louis TV show and then you’d do more drive-time radio and then you’d do an evening bookstore and except for the book stores and the drive-time radio, all of that’s gone. All the local TV gone, a lot of the local coverage is gone, it’s all vanished. So, unless you come up with some special event to do, there’s no reason for an author to travel anymore and meeting readers directly is the main way to get people interested in your work. I think that’s very sad. The sort of falling apart of community that instead of going to a bookstore where you might actually meet someone, you might fall in love, you might have an affair, someone might get murder, things could happen if you’re in a book store. As oppose to everything online. Yes, you’d get the book, but that’s it. Yeah. *Laughter*. I loved that. You might fall in love, you might get murdered, things will happen. *Laughter*. That’s fantastic. It’s also very sad for me in this particular situation because I have one of the most spectacular jackets you’ve ever seen. It’s made with laser engraving and metallic inks and it actually glows all on its own and if people don’t see it, I mean, that jacket costs $5 fair just to have that jacket sitting out on your table. Anyway, so people don’t go to the book store and see that jacket, they may not realize what they’re missing out on. *Laughter*. So that’s the book jacket, right? You’re not talking about the blazer. Yeah, the Radiance book jacket radiate too. Yes it does. It’s great. It’s yellow and orange and black writing and it just pops right out with you or right out at you. The Age of Radiance. So, fantastic. You know, what you said about literary agents makes complete sense. Someone should create a website and have a database of all these literary agents, you know, what their latest work is and latest books that they’ve moved to fame and fortune, so people could know that. Well, they do. It’s called Publishers Market Place, which you have to subscribe to, you know, you pay, it costs money to join it. I didn’t know. I thought literary agents were kind of undercover, so they really? There is a database like that in Publishers Market Place? Yeah, it’s called Publishers Market Place and they report on deals. It’s a little bit misleading because not every agent wants every deal known about, but you know, it’s not 100% great, but it’s plenty of coverage for the first time coverage. It’s something, definitely. What do you think people should do in terms of publishing. If it’s a first book, should they try self-publishing? Should they try to get a literary agent and to get published? Is there maybe a reasonable set of expectations when getting a publisher? A lot of authors I think sort of think, “Oh, I gotta a publishers now, I’m just going to sit back and relax.” That they’d do all the work. That’s not true, is it? No, I’m not really the one to talk about self-publishing because I’ve never done it and I don’t really get it and I know that Hunger Games started self-published. I mean, there are all these 50 Shades of Gray. There’s a number of tremendous successes that started at self-publishing, which I don’t even know which they are, so I’m so under-informed about that topic, so I’m not really the one to talk about that. To me the issue is that the book publishing business, it’s a business, and you don’t get to just write anything to want and someone will publish it and wonderful things will happen. You know, thinking that it all comes for you working at the post office, or whatever job you wanna pick, you have to make things happen. People have a fantasy about publishing like they do with nuclear. Very good, very good point. It is a business and it has to be treated like that. So, good stuff. Anything else you’d like to tell us about the atomic era, the Age of Radiance, or publishing before you go? Yes I would. I’d like you to have your basement catcher rate on and I’d like you to wear sun screen and other than that you don’t have to worry about atomic bombs or atomic power plants. The only radiation you have to worry, sun screen and radon on the basement, but if you want the first book ever on nuclear physicists you can read on a plane, this is it. Fantastic, fantastic. Well, Craig Nelson, thank you so much for joining us today. It’s been a very informative and none the least entertaining discussion, so it’s been great to have you.